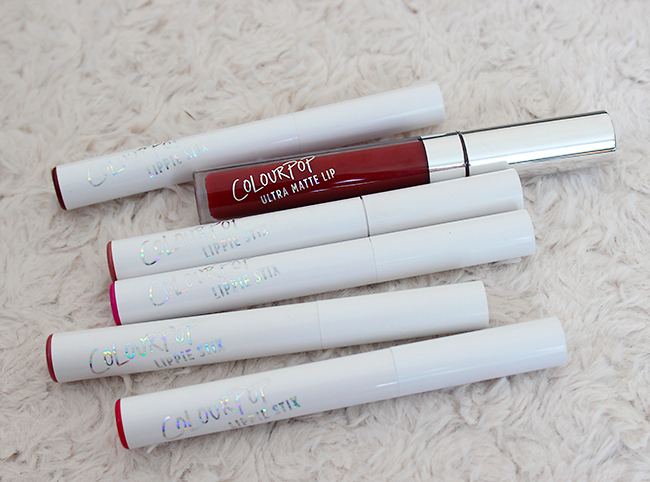 ColourPop Lippie Stix & Ultra Matte Lipsticks Review, Swatches & MAC Dupes! I discovered ColourPop brand on instagram scrolling through some swatches and since lately all I am wearing on my lips are matte lipsticks I decided to get few shades after checking out some pretty awesome reviews. 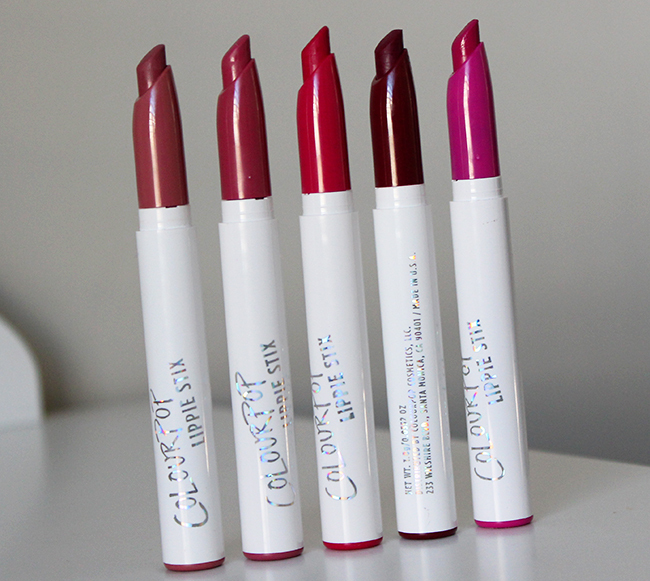 ColourPop lip products are each $5 and for that price they deliver beautiful saturated colors and I am pretty impressed with the quality to be honest. ColourPop Lippie Stix from left: Lumiere, Juice Bar (sheer finish), I Heart This Lippie, LBB and Heart On. Lumiere is an absolutely gorgeous mauve shade that became my go to everyday color. It reminds me a bit of stunning MAC Mehr, which I keep forgetting to review, for a way lower price. If you are into Kylie Jenner lips, that is the shade to go for. Juice Bar is the only shade I've picked out that doesn't have a matte finish, instead with its "sheer finish" is not as pigmented and adds a bit shine to the lips. I was hoping to get something similar to my beloved MAC Syrup (review here), but Juice Bar is definitely more pink that I would hoped for (I don't look good in pinks :(). 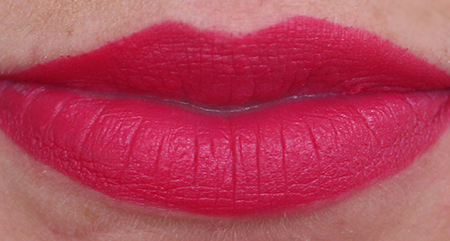 I Heart This Lippie is a very vibrant, red fuschia shade that it's absolutely gorgeous for Summer. 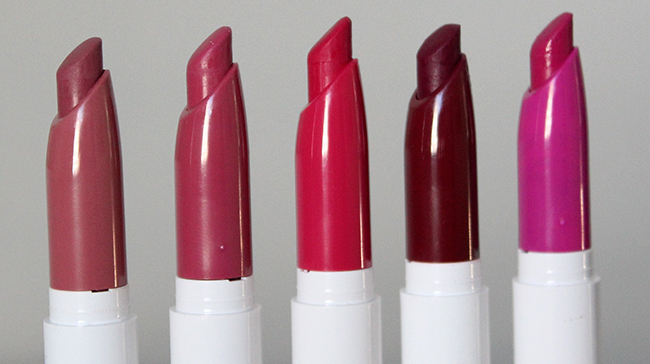 Loud, juicy, magenta pink shade. Beautiful but I will definitely save this shade for Summer. Avenue is the only Ultra Matte lipstick I bought and I have a love/hate relationship with this product. First of all Avenue is a very dark, warm red-burgundy shade that is perfect for Fall/Winter season but because of such a dramatic flat matte finish I am not sure if I love it as much as I would want to. First of all when you first apply it it goes very smooth and has a glossy lip lacquer kind of a finish, then it dries out within seconds to a completely flat matte shade and there is no chance you can fix it or remove it without a professional makeup remover. I love the staying power, seriously this lipstick is almost impossible to remove, but because it has such a flat finish, this particular shade looks a bit scary on me (my husband's words lmao). 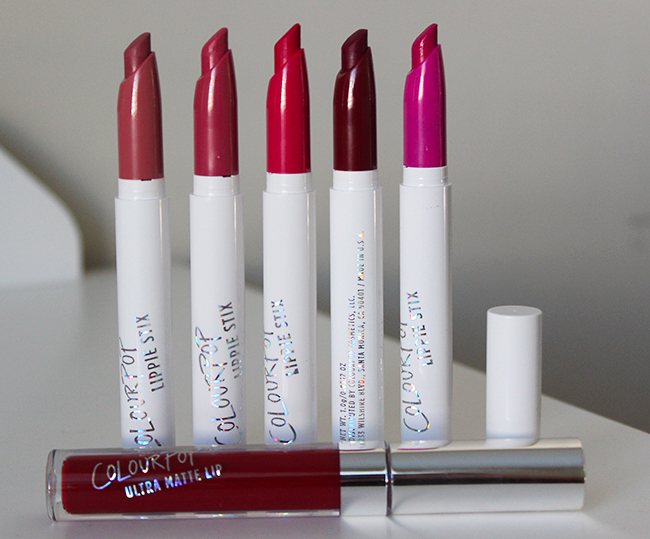 Summary: Overall I think ColourPop lipsticks are a fantastic product and you can't beat the price. They just came out with their Fall collection, so if anyone of you has it let me know which one you recommend on trying. 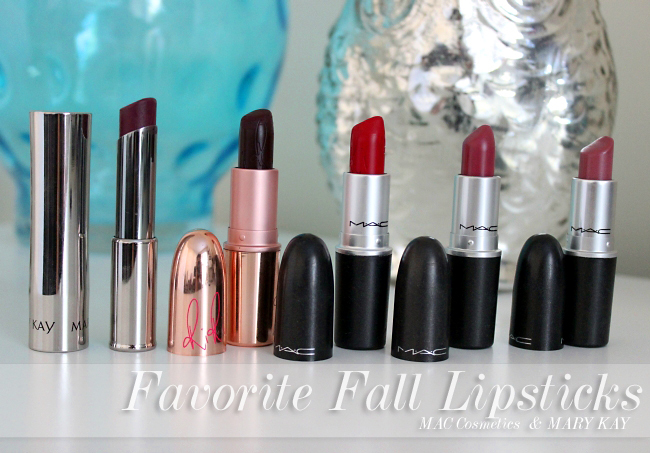 Don't forget to check out my last Fall's favorite lipsticks!